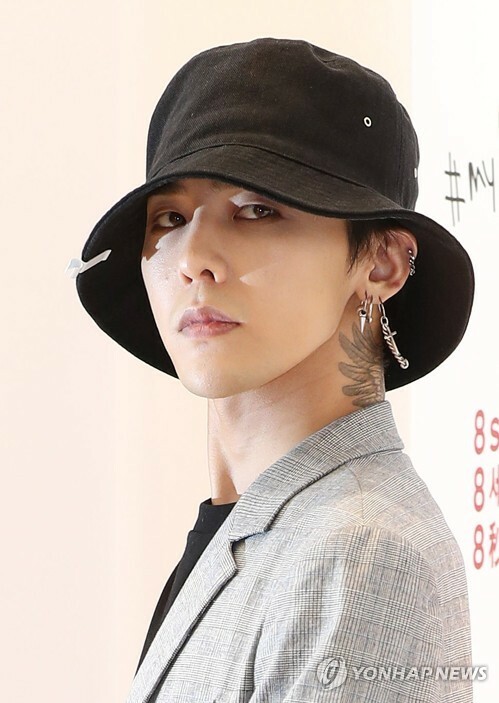 SEOUL, June 10 (Yonhap) — G-Dragon, the leader of the popular boy band BIGBANG, hit an unexpected snag when he returned as a soloist after four years: his band mate T.O.P’s recent drug scandal. “It was mentally and physically hard to prepare for the album because many things happened in the process,” the singer said during his individual concert at Seoul World Cup Stadium in western Seoul on Saturday, the first leg of his concert tour of 19 cities around the world. G-Dragon, however, did not directly mention the drug scandal involving T.O.P. “Kwon Ji Yong,” the fourth solo album by G-Dragon, conquered iTunes album charts in 39 countries upon its release on Thursday, despite the scandal. Its title track “Untitled” also swept the number one spots on major domestic online music charts and all five category charts on China’s QQ Music. “I felt great upon hearing the good news,” the 29-year-old rapper-singer said after performing three of his hit songs “Heartbreaker,” “Breathe” and “A Boy” on stage.